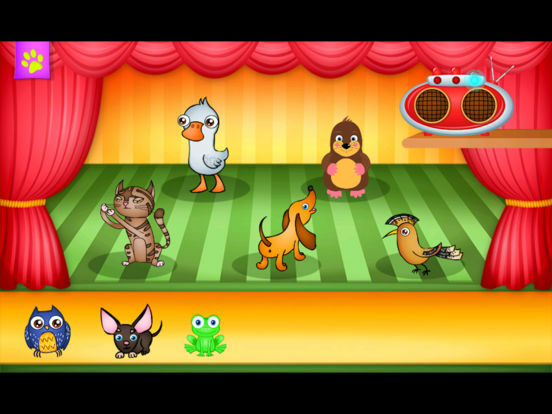 Create songs with groups of the same types of animals, or mix and match animals to create your own band. Add and change pets while on stage and listen to what they can do. * Choose from several popular tunes for accompaniment. * Enable and disable individual instruments. * Create your own band. * Record your tracks and show to your friends. * Develops your child’s creativity. * Teaches how to focus on sounds. * Develops auditory and visual sensitivity. 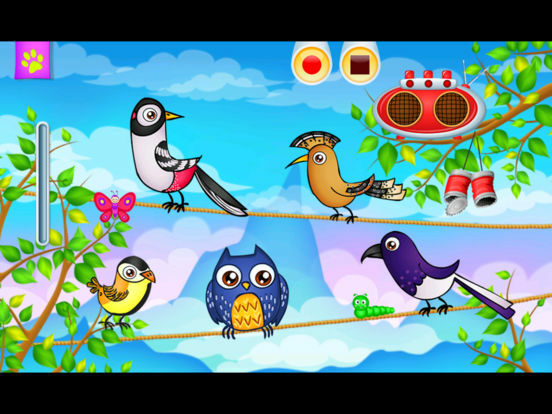 The game features activities that foster children’s creativity, motor skills, and appreciation of sounds and music. 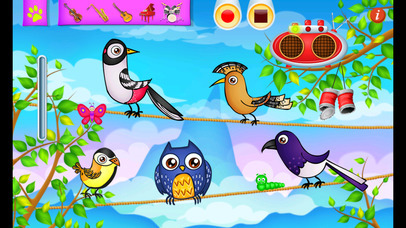 Play with sounds, create your own music, record and share to your friends. 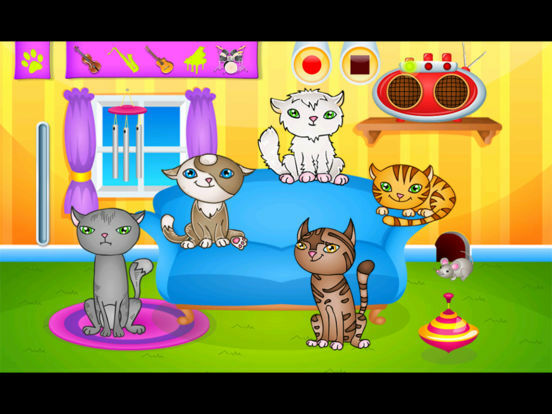 Funny pets will help you with it: cats, dogs, ducks and birds. 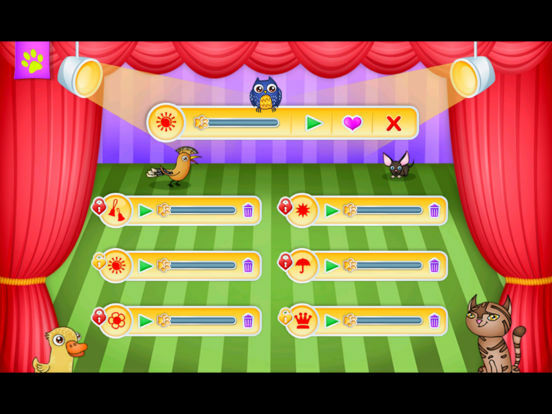 Game was extensively tested with preschool children to ensure its design is as simple as possible and children can explore the application independently. We hope your kids will love it! 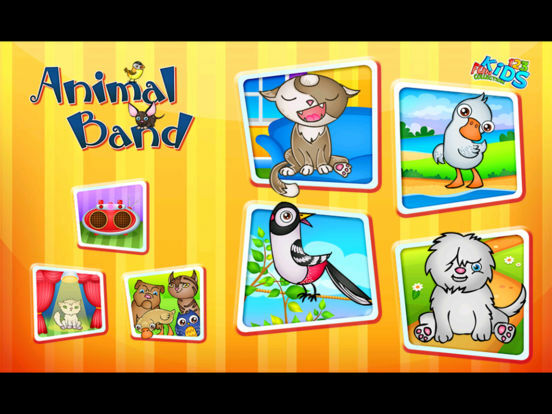 123 Kids Fun ANIMAL BAND - Educational Music Game for Preschool Kids and Toddlers is a unique game for kids that allows you to assemble your very own animal band and make adorably quirky songs. You will have hours of fun creating and recording your own songs to keep and share with your friends.